As might be expected, this is a great example of classic sci-fi (and fantasy). It starts out like a well written textbook about a piece of history that never happened. It goes on to, after nearly a third of the book, connect the reader to a character. A picture of him and his experiences is built in a rather in depth fashion then he is discarded entirely, except for a brief cameo later in the story. There is some "first voyage of its type, length, duration" sci-fi fodder then fantastical, sweeping science fantasy. It's not bad. I didn't ever feel greatly invested in the characters, though I had some parallel experience in an RV with my family while reading about the problems with Hal. The lack of strong connection with the characters is typical of the genre and era it was written in. I think I could have been more in tune with David if I hadn't been waiting for him to be replaced by the next character (which never happened). Read this if you have an interest in the origins of the genre. 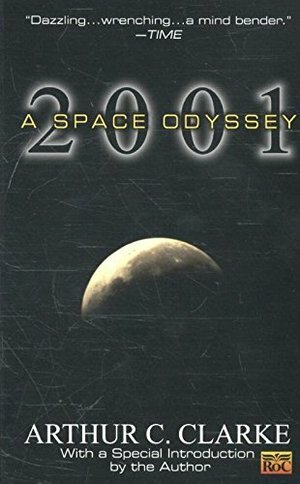 Traditionally this book is my favorite SciFi novel. Other times I imagine I might rather read Fountains of Paradise or Rama. But, the fact that this is a series with returning themes and characters (and a series written by Clarke) bumps this up to a higher spot for me. + Very Clarke; little character development, tense moments, great hard scifi. - The aliens feel more supernatural than advanced.